The Manfrotto 509HD Video Tripod Legs offers a complete tripod solution for professional video camera systems weighing up to 29 lbs (13.1 kg). A 4-step counterbalance mechanism of the 509HD head ensures optimum balance and allows for quick setup. 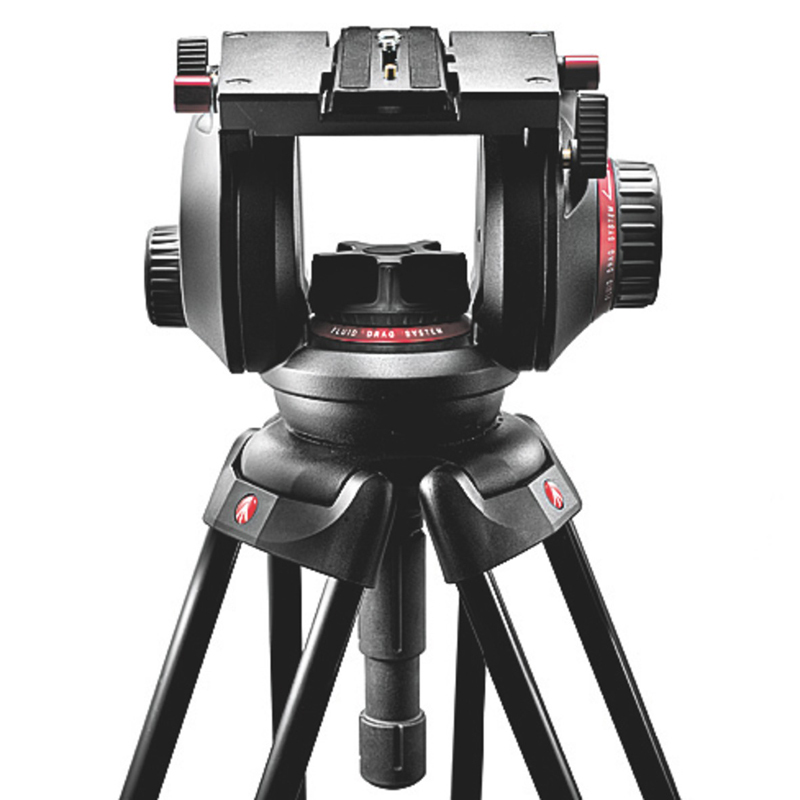 The tripod head features ergonomic adjustments, easy-link connectors, and uses lightweight PVC-free materials in its components. Featuring bridging technology with a ball bearing drag system, this tripod head offers professional-quality stability as well as precise, smooth movements.